International desk – Scientists have discovered yet another planet closest to our solar system that could support life, media reports said on Wednesday. The newly discovered exoplanet is only 11 light-years away from the Earth, CNN reported. The new planet is named Ross 128 b. On Wednesday, a team of European scientists announced the discovery of the Earth-size exoplanet orbiting a star just 11 light-years away. In reporting their findings in the journal Astronomy & Astrophysics, the scientists added yet another option to the blossoming list of “planets outside the solar system that could be potentially habitable to life,” with this latest world being touted as one of the best chances—possibly the best chance—for finding extraterrestrial life yet, reported slate.com website. In part because the new planet, called Ross 128 b, orbits what seems to be an inactive red dwarf star. These specific circumstances give it better odds for sustaining a more stable environment amenable to life, said the website. The hype surrounding Ross 128 b may also be due to its similarity to another exoplanet, Proxima b, which orbits red dwarf Proxima Centauri a mere 4 light-years away. Proxima b’s discovery made an incredibly loud splash in the world of astronomy and astrobiology. Not only was it the closest exoplanet ever found, but it was sitting in the habitable zone of its host star—the region around a star where scientists believe the conditions are opportune for a rocky planet to sustain liquid water on its surface. And of course, where there’s water, there’s the potential for life. CNN added that the astronomers don’t yet know whether Ross 128 b is in the habitable zone of its star, but it’s likely, given what they understand about red dwarfs and the planets that orbit them. Ross 128 b is 20 times closer to its star than Earth is to the sun, but because the star is small, dim and cool, the planet would still be at a potentially comfortable temperature. The nature of the star is also why the planet is subjected to only 1.38 times the radiation that Earth receives from the sun, even though the planet and star are close together. But the reason astronomers are excited about Ross 128 b is because the star is “quiet.” Other red dwarfs, like Proxima Centauri — the star that Proxima b orbits — have a tendency to lash out at their planets with deadly flares of ultraviolet and X-ray radiation, says CNN. But Ross 128 doesn’t seem to be doing this, so it’s considered “quieter,” which means the planet is a more comfortable place for life to form without being subjected to such violent episodes from time to time. The astronomers believe that Ross 128 b is a good candidate for further study when the European Southern Observatory’s Extremely Large Telescope can begin searching the atmospheres of exoplanets for biomarkers in 2025. 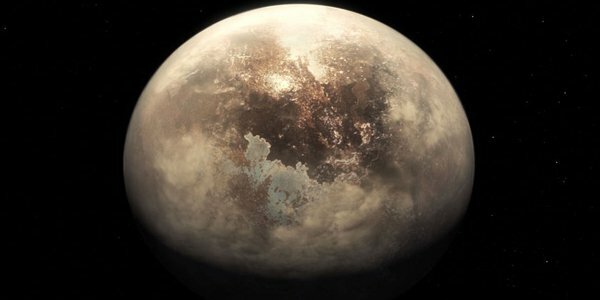 “I plan to continue searching for new worlds, specially around Ross 128 because it is likely that there are more planets,” Astudillo-Defru said, according to CNN.